I’m a linguist by profession and a fluent Spanish speaker and writer. I’m also the mother of two daughters who have switched effortlessly between English and Spanish since they uttered their first words. And I’m a long-term resident on the Costa del Sol where speaking three, four or five languages is pretty common. All these plus natural curiosity mean bilingualism fascinates me. But what does being bilingual really mean? 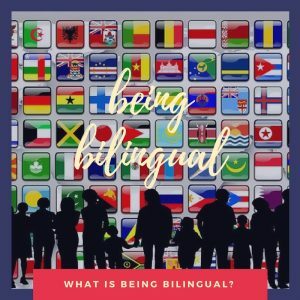 “Having, speaking (fluently) two languages” says The Concise Oxford Dictionary, a definition that means I could call myself bilingual because I do consider myself fluent in Spanish as well as my mother tongue. However, I’m uncomfortable applying the term to myself because I can’t help feeling that there’s more to being bilingual than ‘just’ expressing yourself easily in another language. Is being bilingual speaking in the right accent? My personal answer would be yes. It’s one thing to speak a language and another one completely to have a native accent. 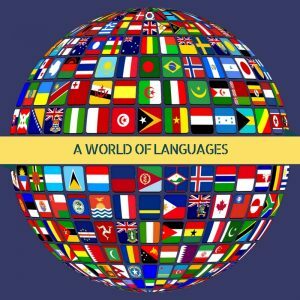 This is perhaps one of the most difficult aspects of language learning and according to some studies, impossible if you come to a language after childhood. For me, being bilingual is having such an authentic accent that a native would believe you were another native. I’m therefore not bilingual in this respect – my Spanish accent is good but not perfect. My daughters, however, do have a flat English accent like my own and a genuine Andalusian accent when they speak Spanish. The same applies to many (although not all) of their friends with parents of two nationalities. Is being bilingual getting all the grammar right? If you’re fluent in a language it should follow that you get the grammar right too. That means managing that pesky subjunctive in Spanish, those impossible phrasal verbs in English, the complex ‘if clauses’ in many European languages… And getting them right. Is being bilingual knowing all the words? Does anyone know all the words in their mother tongue? The answer is probably very few and most of us make do with just a percentage of those available. The same applies to being bilingual when you obviously know plenty more words. But are they just the same one in another language and if you’re bilingual, do you automatically know the equivalent in your other language? Is being bilingual understanding the spoken word perfectly? Another challenge of learning a language is understanding it when spoken on the radio or on screen. The latter tends to be easier because you get help from visual clues (although not always – a stand-up comedian just talks and gives no conceptual clues). One of my older daughter’s friends (who is bilingual according to her LinkedIn profile) once asked my daughter if she could ‘understand English on the radio’? Cristina’s answer was ‘well, yes”. This surprised her friend, “I didn’t know you were that bilingual,” she said. It’s worth adding a caveat here – even native speakers obviously don’t understand the spoken word perfectly. I recently watched ‘Hell and High Water’ at a Spanish cinema in English with Spanish subtitles. I was happy to have them at the beginning while I adjusted my ear to the West Texas accent. I’m pretty sure West Texans would need subtitles too if they listened to me. Is being bilingual feeling the culture? Gesticulating – speaking Spanish fluently inevitably involves using your hands as an essential accessory for your words. Knowing when to use formal or informal verb forms – a challenge for native English speakers learning when and how to opt for the formal usted instead of the casual tú. Understanding how to swear and when to do it – I personally think the nuances behind swearing are one of the most difficult aspects of language learning and I’ve seen hundreds of faux pas in both Spanish and English. Does being bilingual mean you can swear appropriately in two languages? I have a good Spanish accent and a practically perfect command of the grammar. I also have a pretty wide vocabulary. But, I don’t consider myself bilingual. I make mistakes when I speak Spanish. For example, I can’t instinctively remember if espumadera (slotted spoon) or lagartija (lizard) is masculine or feminine (it’s la). My pronunciation of toalla betrays my English origins time and time again. It’s taken me years to feel when to use usted and when not, yet I occasionally trip up on this. And as hard as I bend my ear to tune in, I really struggle to understand what the guy in my fruit shop is saying. In a nutshell, my English is (and always will be) better. When do you consider someone bilingual? Quite right Joana being bilingual means being a native speaker of two languages. I have been in Spain for 25 years and we speak Spanish at home but I am not bilingual and I never will be because I learnt Spanish as an adult. This is what I think of as a psycologist’s definition. The word bilingual is used in Spanish more loosely, especially in schools, as a kind of marketing tool. Most are nothing like bilingual and dont understand the concept. I remember being told by one teacher at a so called bilingual school that the children under 7 were a bit too young to be introduced to bilingualism which of course misses the point widely. Classic comment that by a teacher, John. And yes, Spanish schools are very blasé in their use of bilingual. Thanks for commenting! Interesting distinction and good post, Joanna! I would say you were definitely bilingual by your own definition, as practically perfect grammar and a good accent must promote fluency. However I guess your daughters are truly bilingual, having learned both English and Spanish since infancy. Lucky them! I don’t think of myself as bilingual Arpy. I describe my Spanish as fluent. My daughters are what I’d call bilingual and yes, they are very lucky! Thanks for popping by to comment! My accent in Spanish is pretty close to that of my French Salvadoran mother, though I didn’t learn to speak it until I was an adult. I know a Dominican, whose accent I have trouble with, who’s confessed that he’s met Dominicans whose accent he has trouble with. I have no trouble with “lagartija”. The genders that mess me up are “orden y origen” (m et f in French) and some words in the suffixes “-sis” and “-ma”, which I feel should be f y m (but “oasis” is from Egyptian and “paloma” is from Latin and don’t end in those suffixes). I say you are bilingual, just not native bilingual. Hi Pierre, Thanks for popping by. Food for thought in your comments and yes, those sis and ma can be a problem. I think my thing with lagartija is why should a smaller one by feminine when the larger one is masculine, but that’s language for you!